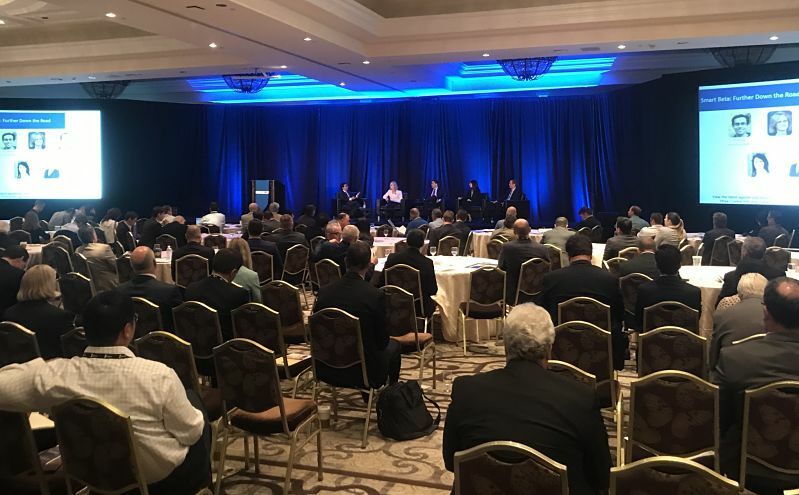 At the 22nd Annual Global Indexing & ETFs conference, hosted by RWM and IMN, at Monarch Beach Resort in Dana Point, California, financial industry leaders and experts touched upon the investment ideas in the extended U.S. bull market environment and the increasing popularity of smart beta strategies. Keynote speaker Jeffrey Gundlach, Chief Executive Officer and Chief Investment Officer of DoubleLine, warned of increasing short-term risks in a seasonal weak period for U.S. equities in the coming months ahead, especially after the post-election Trump rally. However, Gundlach maintains a favorable view of overseas assets, notably Eurozone and emerging market stocks that are trading at a much more attractive valuation relative to U.S. markets. Moreover, Gundlach does not expect the U.S. dollar to experience a strong appreciation, even after the Federal Reserve hiked interest rates, which may help limit foreign exchange risks when looking at foreign assets. Investors interested in gaining exposure to broad Europe markets can take a look at options like the iShares MSCI EMU ETF (NYSEArca: EZU) or SPDR EURO STOXX 50 (NYSEArca: FEZ), which both target European Monetary Union or Eurozone markets. EZU is trading at a 15.5 price-to-earnings and a 1.6 price-to-book and FEZ shows a 15.1 P/E and a 1.6 P/B, whereas the S&P 500 is hovering around a 19.2 P/E and a 2.7 P/B. For developing market exposure, investors can look to broad options like the Vanguard FTSE Emerging Markets ETF (NYSEArca: VWO) and the iShares MSCI Emerging Markets ETF (NYSEArca: EEM), the two largest emerging market ETF by assets. VWO has a 13.0 P/E and 1.6 P/B while EEM trades at a 12.1 P/E and a 1.5 P/B.